Costa Cruises upcoming cruise ship the Costa Diadema has floated out at the Fincantieri shipyard in Marghera for the very first time. Final stages of construction can now begin which includes setting up all the interior areas of the ship. Many different contractors will go onboard and transform the inside to a floating hotel. The technical launch ceremony of the float out was very traditional with the welding of a coin to the base of what was previously the mainmast which is suppose to bring good luck to the ship. The godmother to the Costa Diadema, Ms. Franca Grassoof then cut the red tape and of course which is very popular in the cruise industry the champagne bottle hitting the bow of the ship. 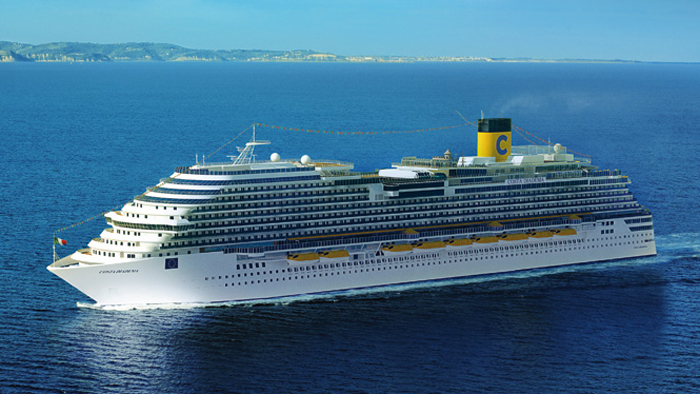 Who’s excited to see this new ship from Costa Cruises? Let us know what you think in the comments below.